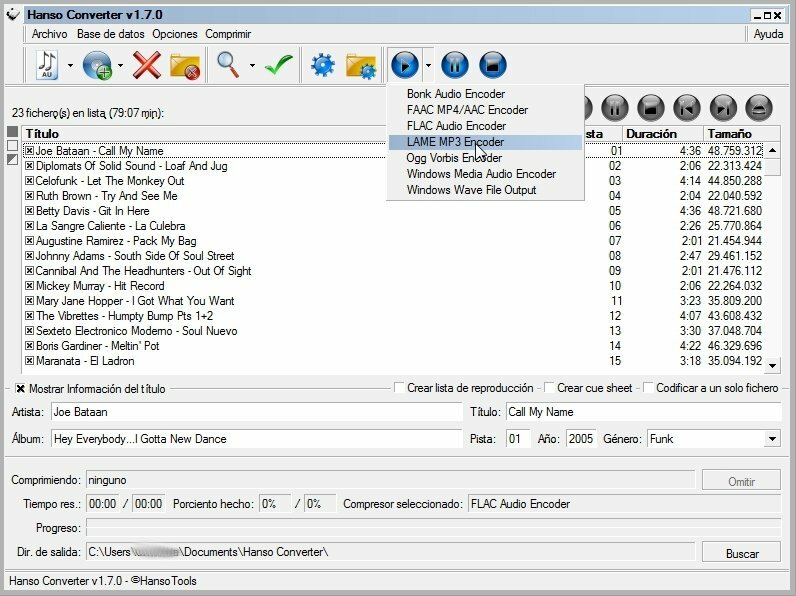 Hanso Converter is an audio program the objective of which is to provide complete support for CD extraction and audio codification. 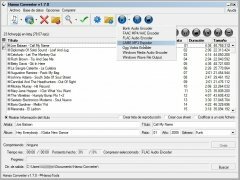 With it you will be able to convert audio files from a CD to the most popular formats like MP3, MP4/M4A, Ogg Vorbis, AAC, Bonk and FLAC. You will also be able to convert files you have converted previously once again. 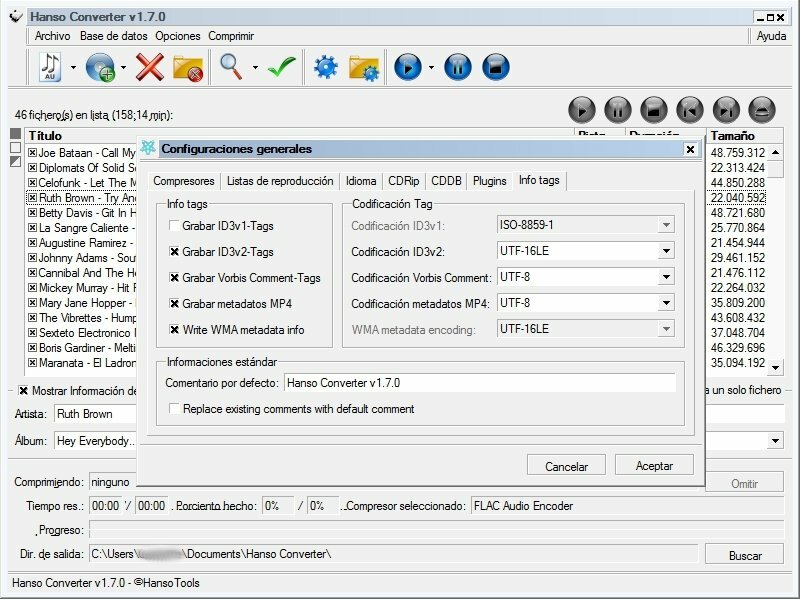 As a user of Hanso Converter you will have the opportunity to work with a first level software application in what regards to the conversion and storage of audio files in the format of your choice, that you will later be able to transfer and listen by means of different portable devices, and to create various audio projects. 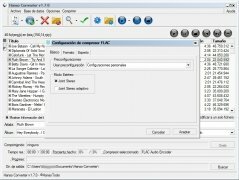 The program is very manageable thanks to the intuitive interface that it includes, thus you are going to be able to manage tasks without any effort and with great simplicity. 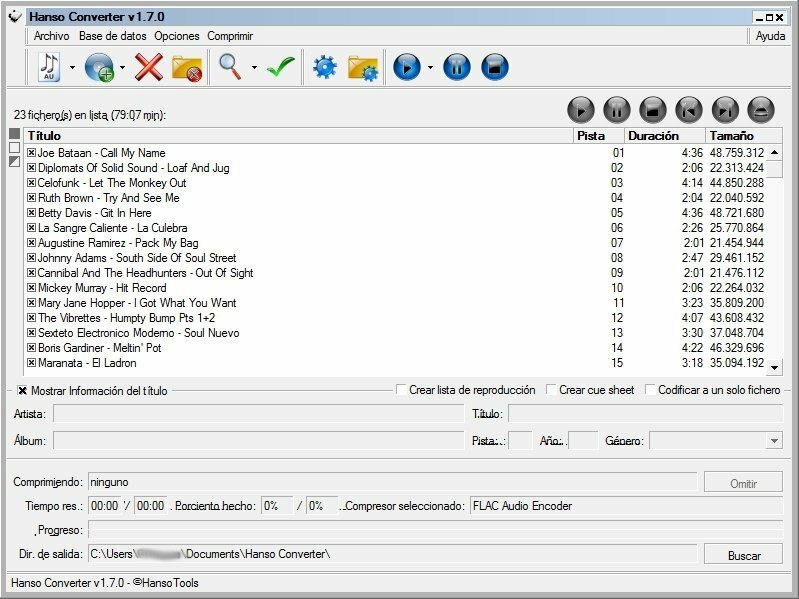 The program is available in various languages and it also has access to the CDDB online database to include the necessary information to the audio files while the conversion takes place. Access to the CDDB online database. 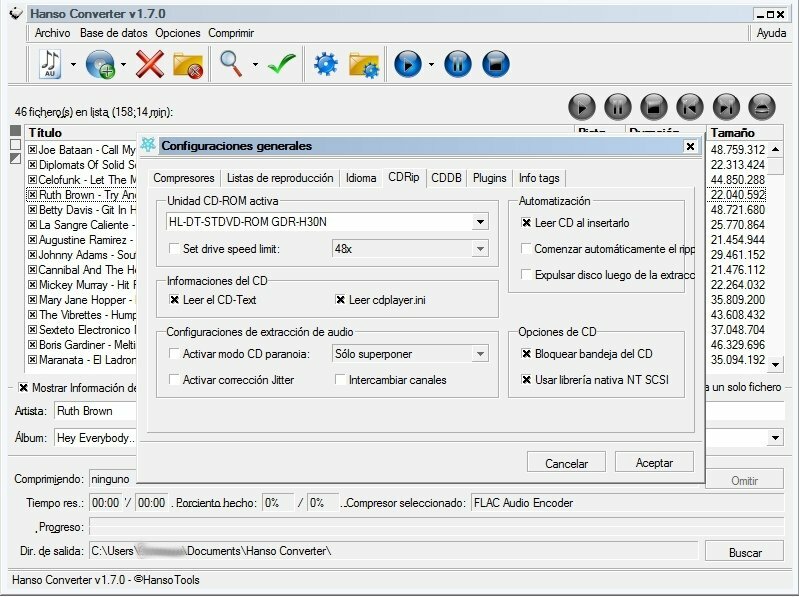 Possibility to input CD-Text data. Tag editing in the audio files. 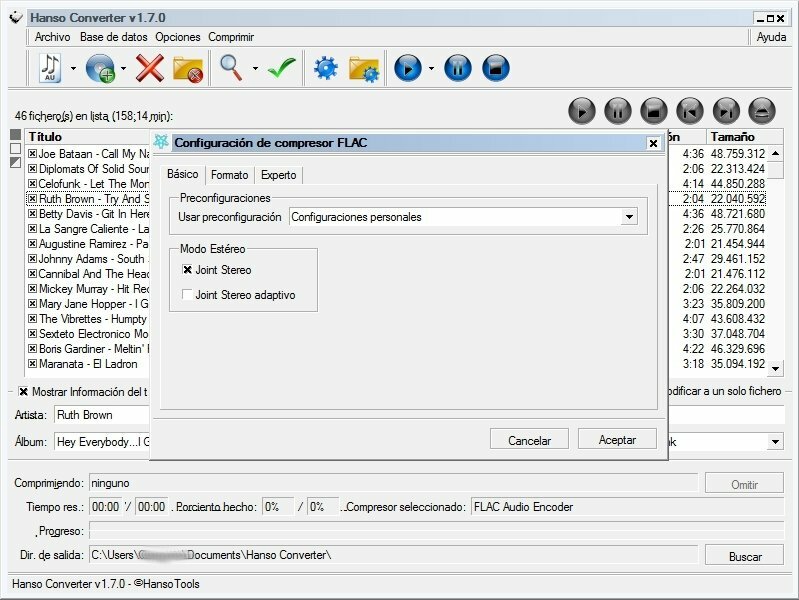 Integrated player to listen to the tracks that are going to be converted and they have been converted to the desired formats. 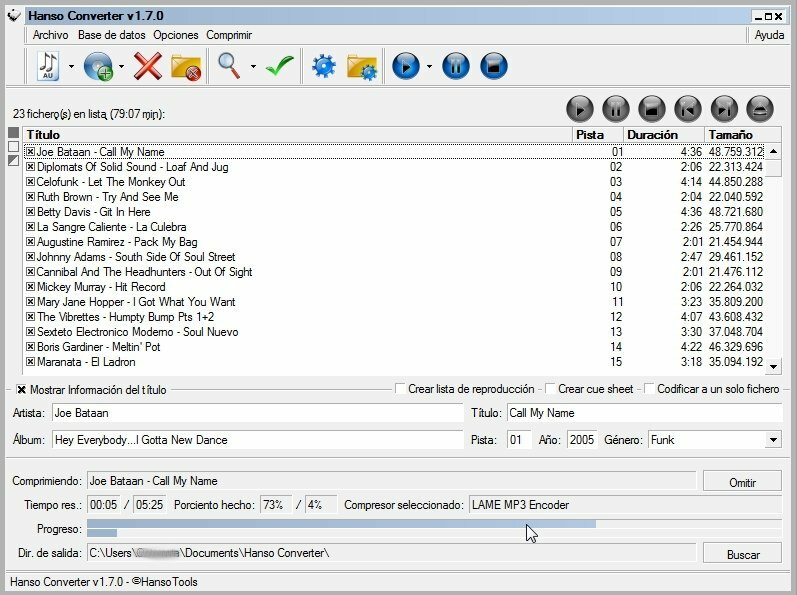 If you want to easily and efficiently rip the audio from a CD inputting all kinds of details on converted files, download Hanso Converter.